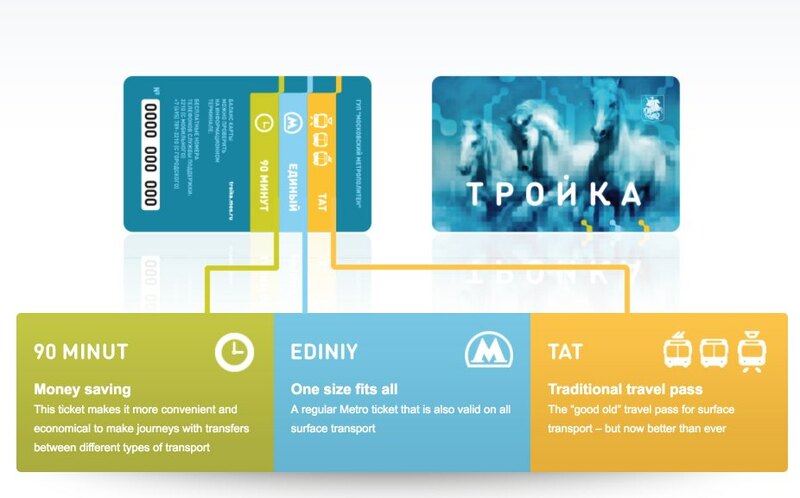 If you are spending a few days in Moscow, you will be most likely interested in buying the Troika card, which allows you to use all public transport in the Russian capital (Metro, bus, trolley bus and tram) at very low prices. What is the Moscow Troika card? How much does the card cost? How to recharge the card? What can the Troika card be used for? The Troika Card is a reusable contactless plastic card that allows you to travel on all means of public transport in Moscow that was introduced as a novelty back in 2013. 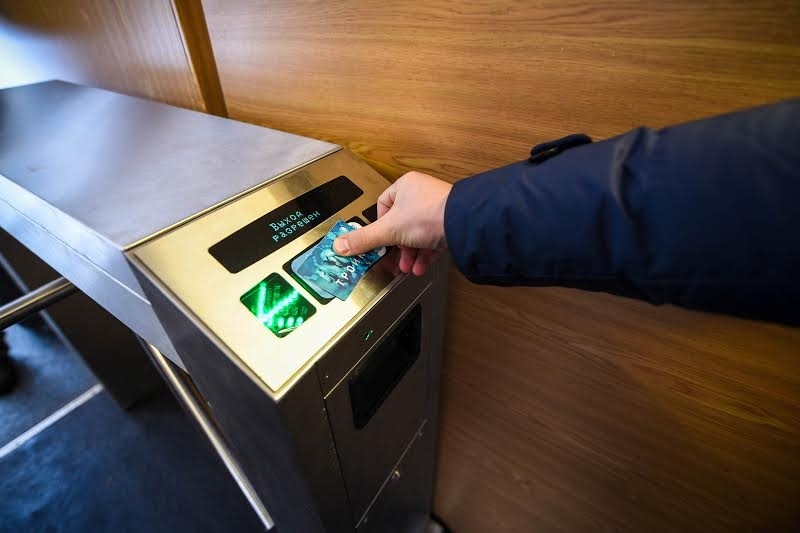 The card is promoted by the Russian Ministry of Transport and seeks to unify all different transport systems and avoid excessive use of paper tickets. 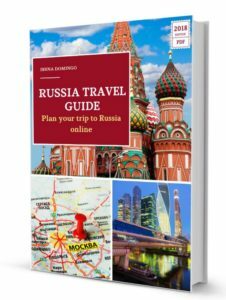 It really is a very interesting way for tourists and travelers to visit Moscow card and, of course, its use is very popular among Muscovites who regularly use public transportation. The card itself costs only 50 rubles that you leave as a deposit to buy it, but you can recover it if you return the card at the ticket office of any Metro station. In Mosgotrans automatic machines (Mosgotrans is the state company that manages buses, trolleybuses and trams in Moscow). Svyaznoy electronics and mobile phone stores (which are all over Moscow, including Sheremetyevo or Domodedovo airport). 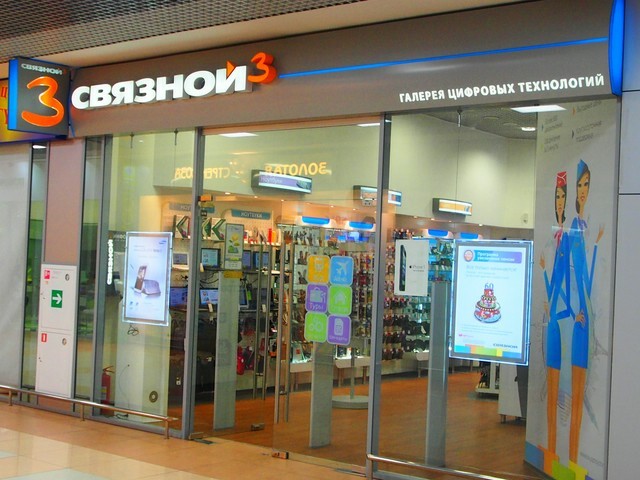 These stores are also a good place to buy a prepaid Russian SIM card to connect to the Internet during the trip. The easiest thing for tourists is to simply go to the ticket office of any Metro station to buy the Troika card. 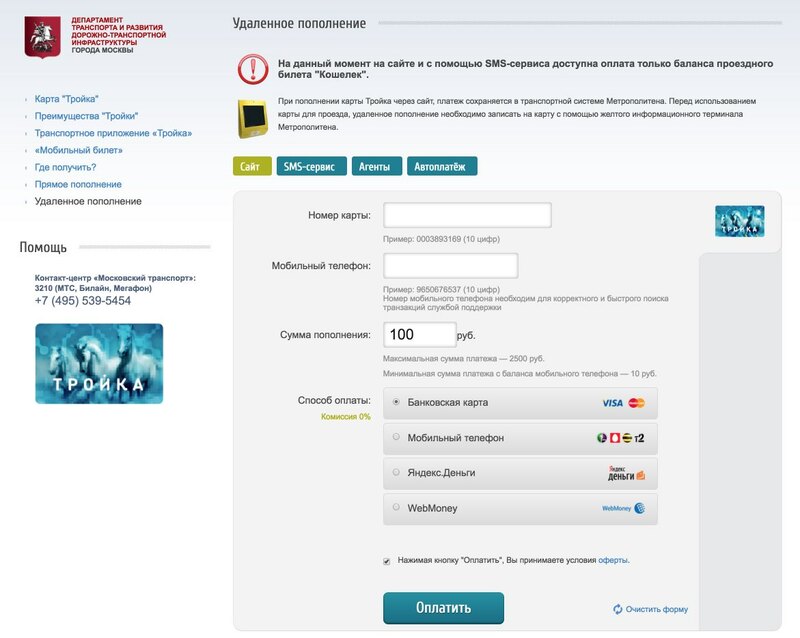 For example, if you want to recharge it with 500 rubles for the first time, all you have to do is tell to the cashier (almost all women) the word Troika and give her 550 rubles, which already include the 50 rubles deposit. This card allows the payment of trips on the Moscow metro for 32 rubles, and the payment of trips by bus, trolleybus or tram for only 31 rubles. In addition, the card also incorporates the so-called 90 minutes ticket, which allows a trip on Metro (or monorail) plus an unlimited number of trips in bus transport over 90 minutes for a price of 49 rubles. The good news is that the card automatically determines the best rate. For example, if you complete a trip on the subway and then a bus ride within a period of 90 minutes, then the card will deducted from the balance 49 rubles and not 63 rubles (32 for Metro and 31 for the bus). On the other hand, if you only plan to use the Metro you should bear in mind that a simple metro ticket costs 50 rubles, 2 trips cost 100 rubles, 20 trips 650 rubles, 40 trips cost 1,300 rubles and 60 trips cost 1,570 rubles. In addition, you can also buy tickets with unlimited travel for 1 full day (cost 210 rubles), for 3 days (400 rubles), 7 days (800 rubles), etc. Public transport in Moscow (Metro, bus, trolley bus and tram). You can also take the Aeroexpress (a fast train connecting Moscow’s main airports with the city center). Simply approach the Troika contactless card through the Aeroexpress turnstile access and it will deduct the more than 400 rubles a standard travel costs from the balance (for this the card must have enough balance). To pay for the public bicycle rental service in Moscow, spread throughout the capital’s 300 stations. You can check your remaining balance on the card in the Metro station’s vending machines. The card does not expire and its funds are valid up to 5 years after recharging (maybe you’re thinking of going back to Moscow during all that time). The card can be registered in case you lose it and want to recover the money. In short, the Troika card is the easiest way to get around on public transport in Moscow, easily and economically. If you are spending a few days in Moscow this is probably the best choice to get around the city.